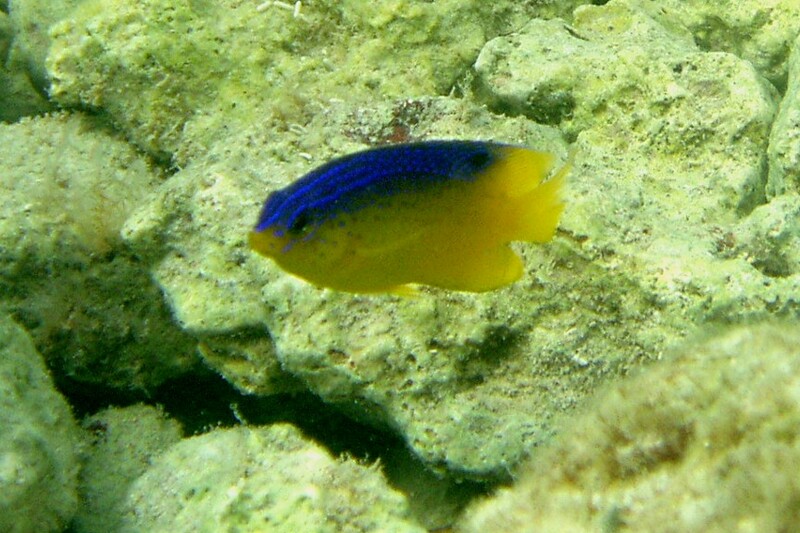 This is a juvenile Beaugregory about 2 inches. Photo by Rod 27 Feb 04 in about 3 feet water. 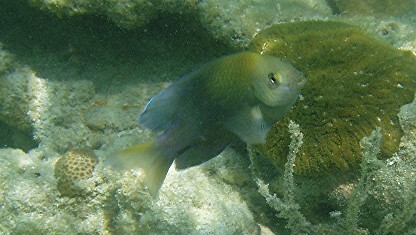 Location was offshore at Harris Park, Key Largo. 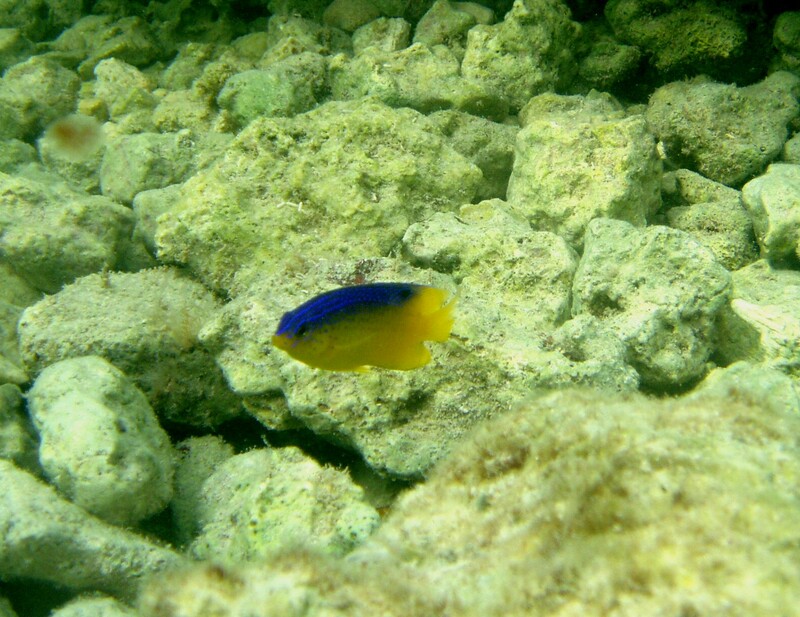 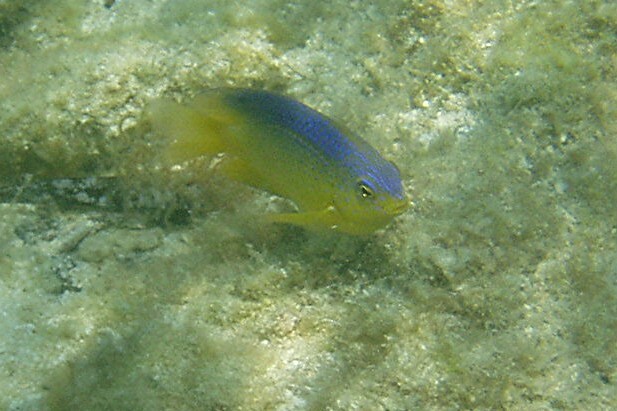 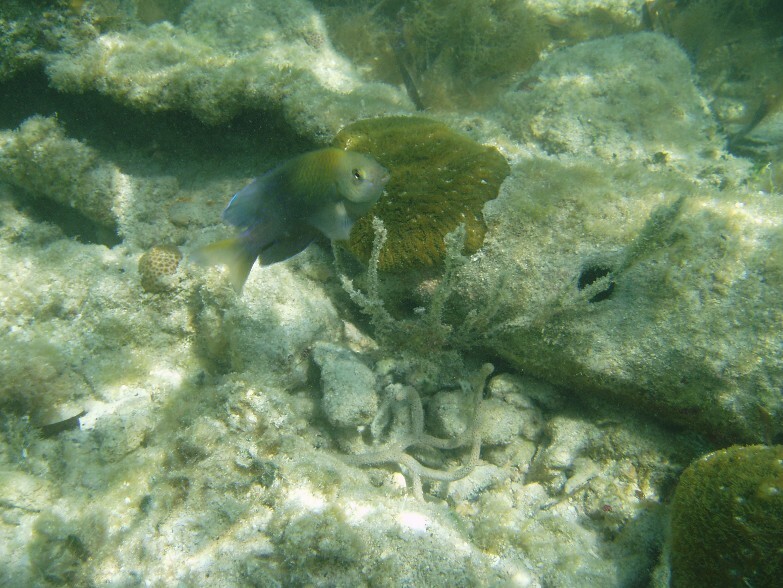 Pale to yellowish tail (which is noticable in adults below); Sometimes confused with juvenile Cocoa Damselfish, which has a black spot on upper base of tail. 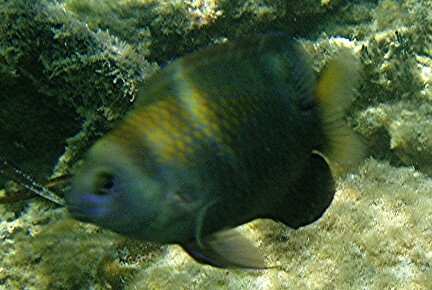 beau11c.jpg was a picture taken at White Banks; Dry Rocks in about 8 feet of water. 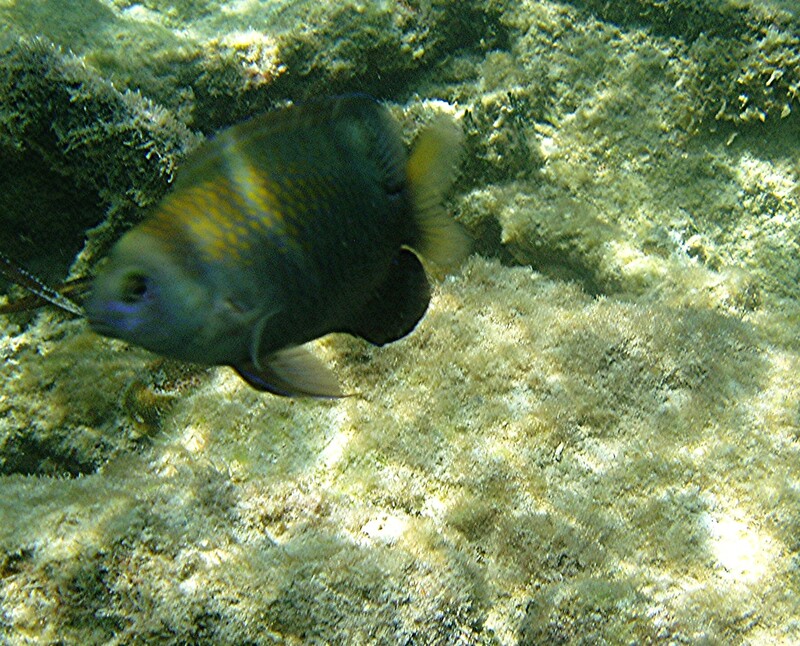 damsel60c.jpg is an adult in the Dry Tortugas on 17 Mar 04; he was very aggresive for his size.